Right now, the computer monitor to have more and more choice, either the brand, type and size. This is interesting, because it means we will get a lot of choice when buying a monitor and want to replace our old monitor. The problem is, sometimes because of too many choices available, we would be confused to choose the most appropriate one for us. Well, because of that, we try to help you to choose the right monitor for you to buy, so your money will not be wasted because of buying a monitor. 1. To monitor what is going to be used? Well, first consider that. Do you prefer playing games, watching movies, editing videos or photos, or just listen to the song and typed coursework or office work? Because these types of monitors are of different kinds. 2. Know the type of display technology that you need If you mostly do photo or video editing, then we would advise you to choose the monitor display technology In-Plane Switching (IPS). This monitor is relatively higher cost than LED or LCD monitor unusual, but IPS technology promises color accuracy, contrast is better than other monitors. This is very useful for you who like to play around with color. However, this IPS monitor has other drawbacks. Not only more expensive, this monitor has a response time likely (response time) which is slower than the other monitor. So, if you want to play games, it is better not to use it because the IPS type monitor will give ghosting effect (ghosting) on ​​the look of the game you are currently playing. 3. Know the right size screen for your need to know about After what display technology you choose, the next step is to know about the screen size is most appropriate for you to use. The screen size may not be important to some people. But make no mistake, it is actually the size of the screen is a pretty important thing, do not get us wrong select size, so that the screen is too small or large that we are not comfortable in using it. 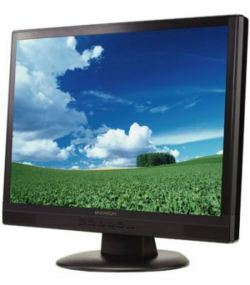 Monitor has a variety of options, which is a commonly used measure of the size of 17 inches to 23 inches. To measure on it, such as 24, 27, and 30 inches and above, are more often used by film enthusiast and editor of the video and photos. 4. Read the experiences of those who have used a particular monitor on the Internet Yes, by reading the experiences they've shared on the Internet will greatly assist you in making the final decision on which one you want to monitor. By knowing the advantages and disadvantages of these monitors, you will be much easier to administer. That's it from us tips that we think can facilitate you in choosing a monitor for you to purchase later. Hope it helps, and happy shopping! 0 Comment for "How To Choose The Right Computer Monitor"